Get your friends & family to vote for you. Make sure both of you have the similarity appearance to be seen in the photo. 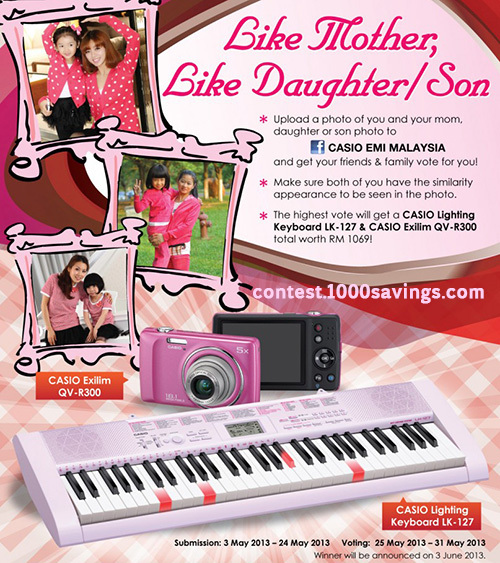 Visit Casio EMI Malaysia Facebook fanpage for more details.